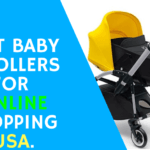 This is one of the cutest & light weight umbrella strollers in the market, parents who don’t want to carry a heavy or bulky stroller; this can be a good choice for them. Apart from its compact size it provides many other exiting features which we will discuss further. It rolls on four wheels with skate wheels and two ball bearings per wheel. This is not an all terrain stroller but the single front skate wheels help prevent the “wandering” of wheels for a smooth ride. You can take it for long park walk or city, mall etc. 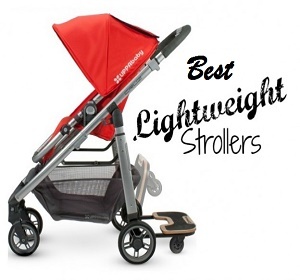 because of its light weight it is very easy to push & move on every kind of surface. The wheels are punctured proof & can be run with low maintenance. 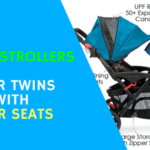 Canopy is quite small as compare to other strollers in the market which can be pulled out & in according to the convenient. As it is not large so SPF rating is low & there is no pee-boo-window or mesh on the back side of the canopy. 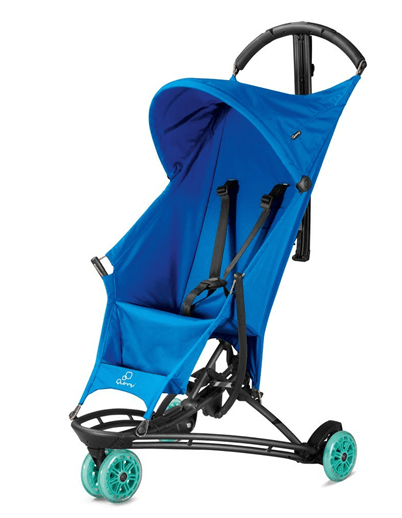 The canopy on this stroller Quinny Yezz buggy cannot be removed. It is permanently attached to the top of the seat back, which is in fact just one part with the rest of the seat. “Quinny Yezz Stroller” has a comfortable seat but the seat back sits at 64 degrees, which isn’t upright, but isn’t nap worthy either. 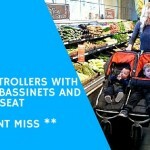 As the seat can’t recline up to a flat position so I will not suggest putting a new born baby into it, this is suitable for six month baby up to 40lbs of weight. 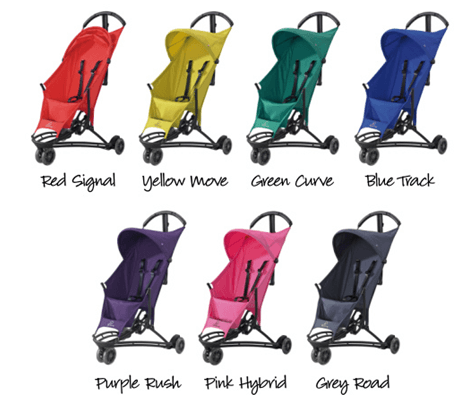 “Quinny Yezz Stroller” has easy to use single brake system with large color coded pedals to set and unset the brakes. It has five point harness system with central release button, the harness is not padded but made of small material which is adjustable & easy to lock & unlock. The handle bar is not adjustable but the rounded design means it is good for people of varying heights, the curved handle is like the top 1/3 of a steering wheel, which gives ample opportunity for all users to find a comfortable wrist and hand position. There are no traditional shocks on this frame, but the frame itself acts as a shock absorber as it flexes over bumps in the road. 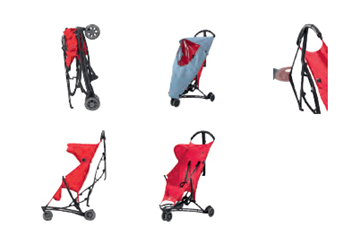 This stroller Quinny Yezz buggy is easy to fold and unfold in 3 steps, the folded dimension is very small hence it becomes very compact in size so that you can take it for travelling or put into any travelling bag. “Quinny Yezz Stroller” has an automatic lock & standing fold which helps to keep it at the corner of the house. It has a nice elastic type shoulder strap that allows for easy hands free carrying. 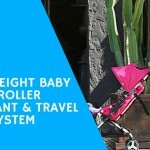 This section will surprise you in this “Quinny Yezz Stroller review”. While many of the other products we looked at had some kind of under seat storage bin, or back of the canopy pocket, this one does not. It has a small pocket on the back of the seat. The pocket holds 4.4 pounds or 2 kg; you can put light weight small items but not a heavy one. There is no cup holders or snack tray available. 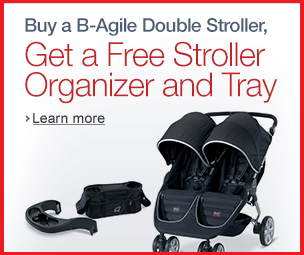 The frame of this stroller is flexible which increases the function and comfort of this stroller Quinny Yezz buggy. The frame is a proprietary high performance plastic called IXEF. It is a plastic composite comprised of 50-60 % glass fiber reinforcement that is manufactured using gas injection molding. The seat fabric is very soft & made of water and dirt repellant fabric & interchangeable slip covers. The rip stop fabric is similar to that used in parachutes and kites, giving it a durable yet comfortable feel. 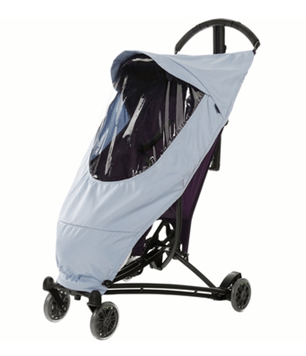 You can use some accessories with “Quinny Yezz Stroller” like weather shield, stroller seat cover etc. 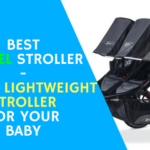 the price is quite high as there are many features which are missing so may be some parents won’t believe it to be a value for money stroller. 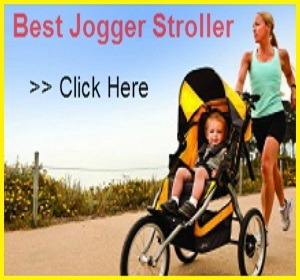 As it’s a light weight, compact & easy to handle stroller which can b a main preference for parents. You can invest your money if you think in that way or because of its durability & high quality material.